Dapasoft announced today that it has secured an investment from the York Angel Investors (YAI), representing the YAI’s largest deal ever. With a focus on healthcare IT product and service offerings, Dapasoft will use the funds to accelerate its Microsoft cloud-based product innovation as well as expand quickly and strategically into the United States and beyond. “Dapasoft has a healthcare integration product that is currently being used by over 200 hospitals and major healthcare organizations, and we’re currently developing a Cloud based version that will be released by the end of this year. Dapasoft is also expanding into the United States and global markets in 2016,” explains Dapasoft’s CEO, Stephen Chan. As the global healthcare industry moves to cloud technologies, Dapasoft aims to be the leader in Microsoft cloud-based healthcare integration solutions. 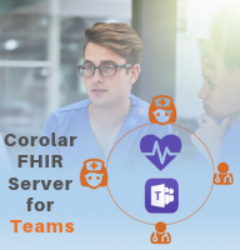 For healthcare organizations, Microsoft’s cloud platform can enable efficient patient and physician collaboration, streamlined business processes and secure data sharing, while saving money by reducing infrastructure costs. The funding will accelerate Dapasoft’s development timelines and position the company for the quickly emerging cloud opportunities. “At Dapasoft, we’ve proven our business model with healthcare integration solutions across Canada, and we’re excited for the YAI’s investment along with their experience and partnership to help Dapasoft grow into global markets,” said Michael Lonsway, Dapasoft’s President. 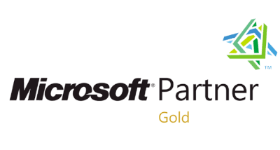 With Microsoft’s new war-cry: “cloud-first”, the new funding will assist Dapasoft in aligning with Microsoft’s vision of embracing API’s that empower partner solutions to be at the center of the customer experience. There is a tremendous potential of leveraging the cloud for big data and health analytics and with this investment, Dapasoft is ready to open the doors to new possibilities and opportunities. For more information regarding this announcement, please contact Michael Lonsway at 416-847-4080 Ext. 1002 or by email at mlonsway@dapasoft.com.